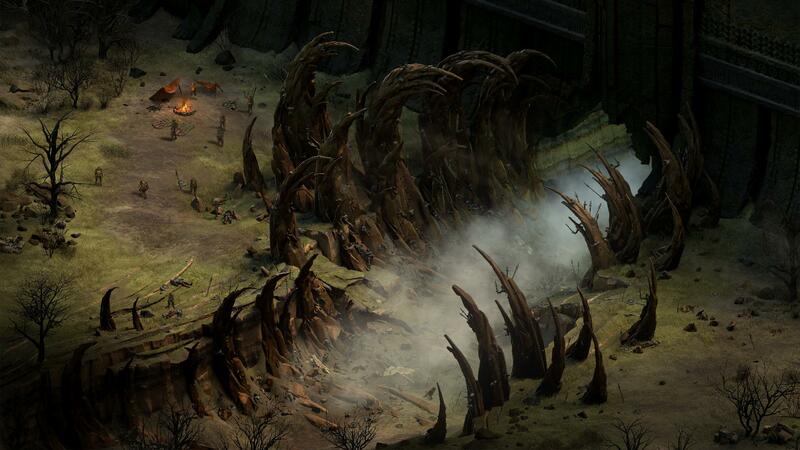 The armies of the Overlord Kyros have rampaged across the known word for over 400 years. Nation after nation has fallen and now the free world stands on its last legs in the South and the people of this land, the Tiersmen , stand alone against the coming storm . Tyranny is the lastest CRPG offering from Obsidian Entertainment, probably the last people around actually producing solid story driven RPG games rather than the sadly soulless sandboxes we seem to be inundated with these days. The game takes place at the end of the Bronze age, as Kyros subjugates the last free people on the continent to his will. Kyros is a kind of "rule everything" evil overlord, and is seemingly obsessed with bringing law and order to the world. You serve him as a Fatebinder, something like a local courthouse magistrate except you're expected to kill people every now again... so basically magic Judge Dredd if that floats your boat. The laws of Kyros are many and often contradictory, so as a Fatebinder it's your job to interpret the law just as much as it is to enforce it. How you do that is up to you, you still answer to the head of the Justice department so going around being a giant above the law hypocrite is gonna reflect badly on your next review, but ultimately once you open your mouth your words are the law. That being said, your words being the law people will remember your rulings and your deeds, which drastically changes the game in ways both major and minor. As you build a reputation some will admire you, others may fear you and many will hate you. But the law is the law. And so long as law and order follow in your wake... you might make partner! Game is good, runs on the Pillars of Eternity engine but is far more polished. Combat is good, mechanics are fine and you can launch right in without much pondering over manuals. Storywise, it's excellent and dynamic - it starts off with a kind of CYOA that polishes out your characters backstory and the decisions made there echo throughout the rest of the game. So far I've pondered over decisions and tried to take the middle ground and gotten myself a reputation as a "Peacebinder", but it's been damn hard. Very rarely do you get something that is an absolute right or and absolute wrong, but it's very satisfying to "do the ring thing" (at least by my IRL moral standards) by finding the odd loophole here and there. Feel pretty good about that.